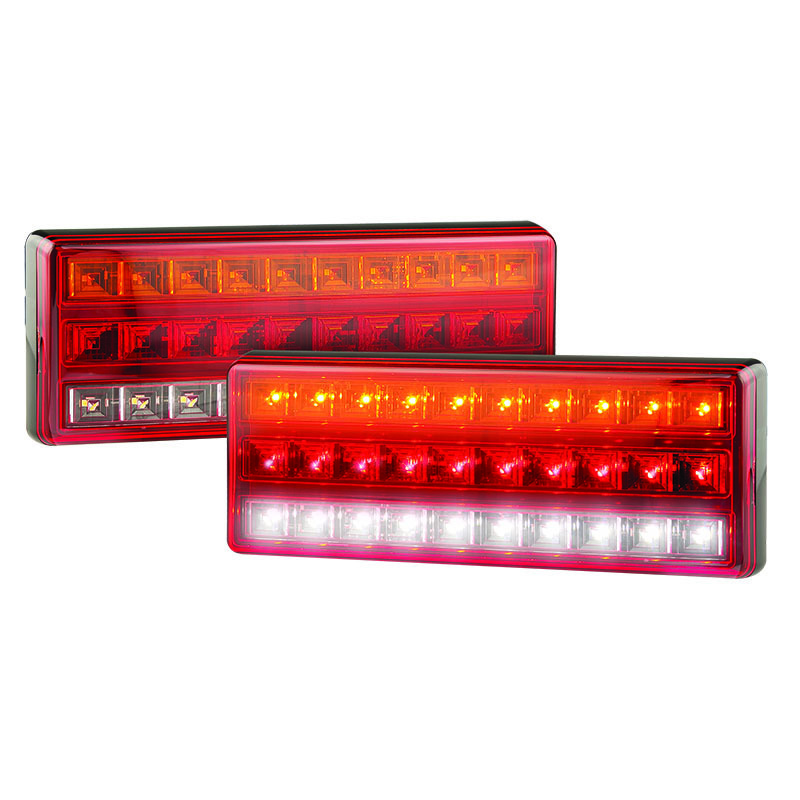 Introducing the NEW LED Autolamps exclusive; the 275 Series rear combination lamps. The 275ARW (12V) and 275ARWM (12/24V) feature Stop, Tail, Indicator and Reverse functionality. The 275 series launch with full ECE approvals, in addition to an outstanding 5-year warranty. To achieve this the lamp has thirty high brightness LED's. Both lamps have been exclusively engineered by LED Autolamps to feature a completely enclosed design thus ensuring they are IP67 (Water Ingress Protection) certified. The lamp includes this within a small 275 x 100mm body equipped with two fixing screws and 300mm of cable to the rear. Enquire with the LED Autolamps sales office (sales@ledautolamps-uk.com or 0121 3132222) to locate your local retailer. If you require more information, please click here.